Park near southern entry to Mt. Forest on Parkside Drive. 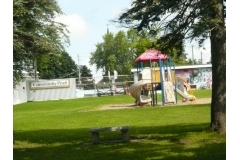 Includes community pool, playground and war memorial.